Last September I wrote about how Air Senegal will be taking delivery of the A330-900neo, and will launch flights between Dakar and Paris. Air Senegal is only the second airline in the world to take delivery of the A330-900neo, after TAP Air Portugal. 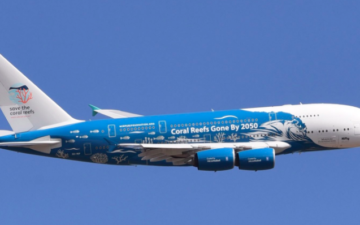 The airline has two of these planes on order, with the second plane due to be delivered over the summer. 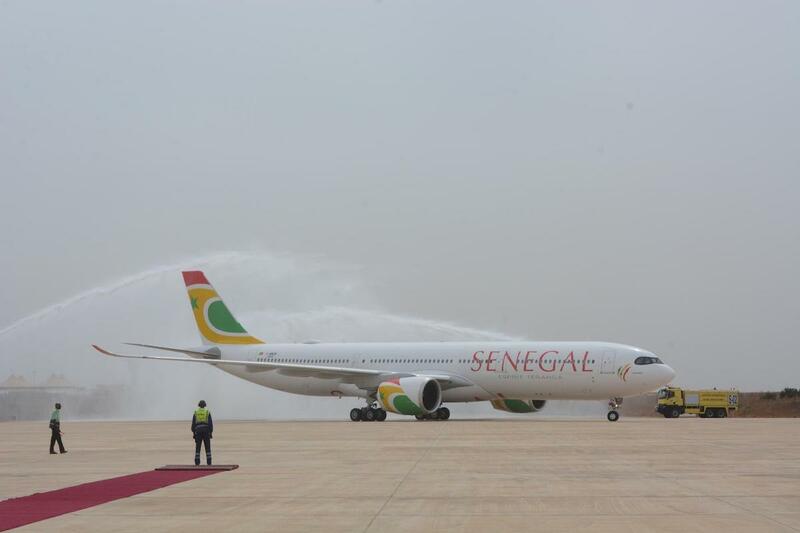 Just a few days ago the first Air Senegal A330-900neo arrived in Dakar for a ceremony. While the airline was initially supposed to take delivery of the plane a while back, that still hasn’t happened. Even when the plane flew to Dakar, it only did so for a ceremony, and then returned to Toulouse for more testing. It’s expected to be formally delivered to the airline within the coming weeks. 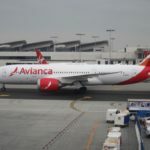 The airline nonetheless launched flights to Paris as of February 1, 2019, though for the time being they’re doing so with a leased Hi Fly plane, given their lack of available aircraft otherwise. 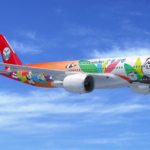 I love Air Senegal’s new livery for the plane. On top of that, I’m also impressed by the interiors they chose for the plane. The plane is in a three cabin configuration, and features 32 business class seats, 21 premium economy seats, and 237 economy seats. 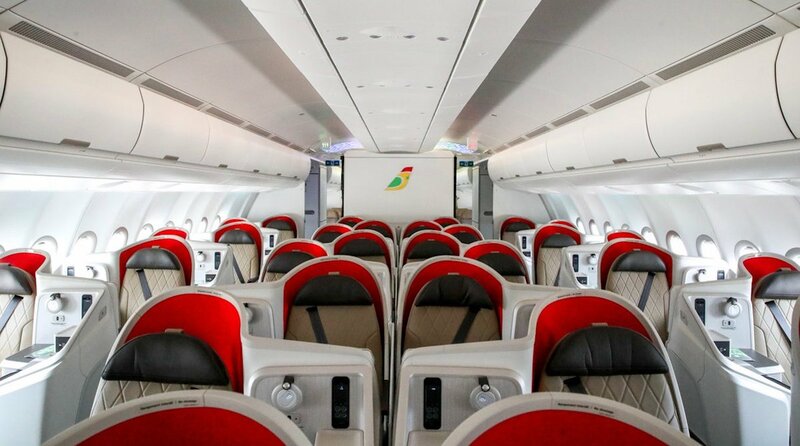 I figured Air Senegal would go with a generic business class seat, but instead the airline is the launch customer for the Stelia Aerospace Opal Business Class Seat. 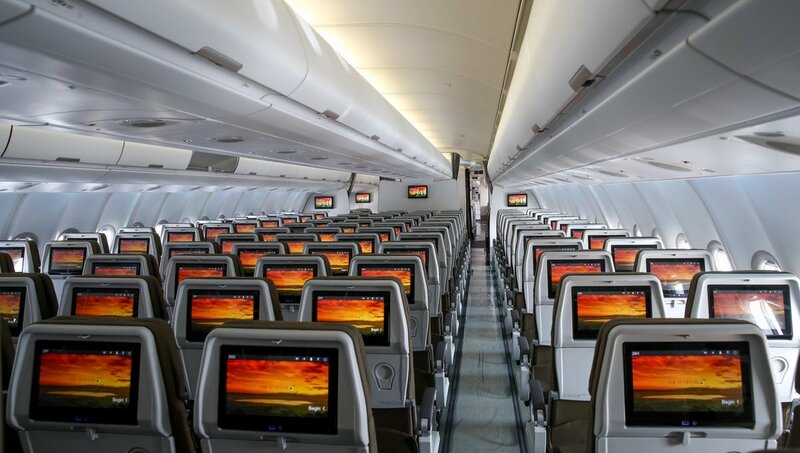 You might be thinking to yourself that this looks awfully similar to Singapore Airlines’ new regional business class on the 787-10, which is also what Turkish Airlines will be installing on their 787s. In reality that’s actually a Stelia Aerospace Solstys III Business Class Seat. Yes, the seats are very similar and are even from the same manufacturer, but they’re not the same. 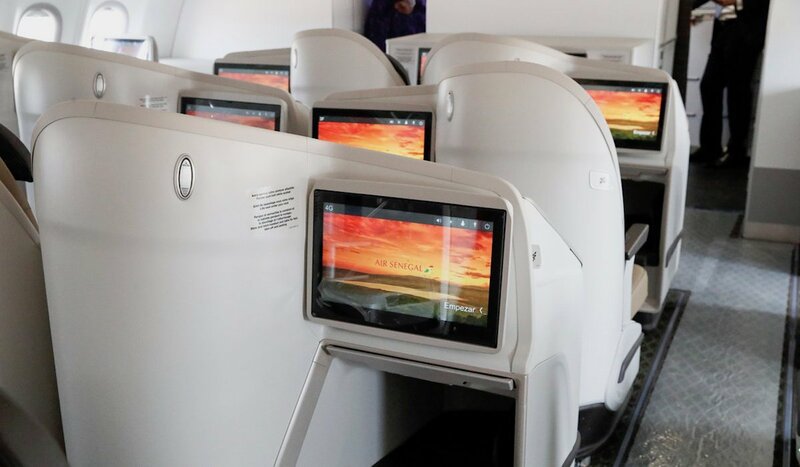 Economy on Air Senegal’s A330-900neo also looks good, and is in a 2-4-2 configuration with personal televisions at every seat. I certainly wish Air Senegal luck, and hope to fly their A330-900neo soon. 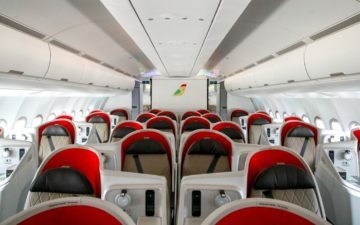 Keep in mind that the airline was only founded in 2016, and is Senegal’s umpteenth attempt at creating a national airline, after all the previous versions have failed. I’m still not exactly sure why the airline decided on the A330-900neo. You’d think it would be much smarter for them to get a plane like the A321LR, which could not only operate flights to Paris with plenty of range to spare, but could potentially even fly to New York or Montreal. Air France already flies to Dakar using a 777-300ER, so it’s not like they’ll dominate the market either way. Air France also has the advantage of offering connections beyond Paris. I wish them luck, but I’d be surprised if this works out all that well for them. A quick search and I’m coming up with 3K USD RT in J. Seems kind of steep for such a short flight. Any reason why they are opting for Zodiac RAVE over competing systems? @Lucky – When you make a statement like “Yes, the seats are very similar and are even from the same manufacturer, but they’re not the same.” it would be helpful to note at least one feature that differentiates the new from the previous version. I like the tail and the titles, but it needs something to break up all that white. Why do they need 2x A339s to operate a (daily?) 5 1/2 hour flight (12 hrs round trip give or take)?? Are they planning on adding other destinations with them?? I really don’t understand how all of these airlines from heavily impoverished nations are spending so much to offer such nice amenities in business class or sometimes first. Is there really such a demand for business class on Air Senegal??? @Lucky — the Singapore Airlines and Turkish Airlines seats are the Stelia Symphony, though roughly based off the Solstys III. @Realist — It’s a pretty big business route. France is the biggest foreign investor in Senegal. Looks just like many planes from other airlines. All flights to Dakar are full with either Air France or another European airline (I know what I’m talking about I worked at Dakar airport). Corsair was coming with an A330 having a lot more seats and flights were full. Royal Air Maroc comes 3 times a day to Dakar and one of the flights is made in 767 or 787. Air Italy replaces its 737 with an A330, Turkish Airlines comes daily to Dakar and 2 flights are made in A330-200. Tap Portugal comes 10 times a week, and some flights are in A330-200. During the holiday season, Iberia makes more flights and replaces its A321 with an A340-600 or an A330. You should not underestimated Dakar, it is the first destination in West Africa, there is a lot of competition to go to Europe and contrary to what you think, the use of the A330-900neo is a very good thing. Thank you Maxime. I think the choice of a 339 makes sense in this case as the nonstop flight is only operated by 2 companies: air sénégal and Air France. If you consider that demand over the years will grow why limit yourself with a narrow body. @the realist just because they are port countries doesn’t mean that they should offer crappy product or service. 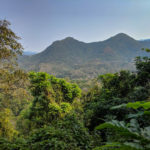 I’ve been reading your blog from this part of the world for years !